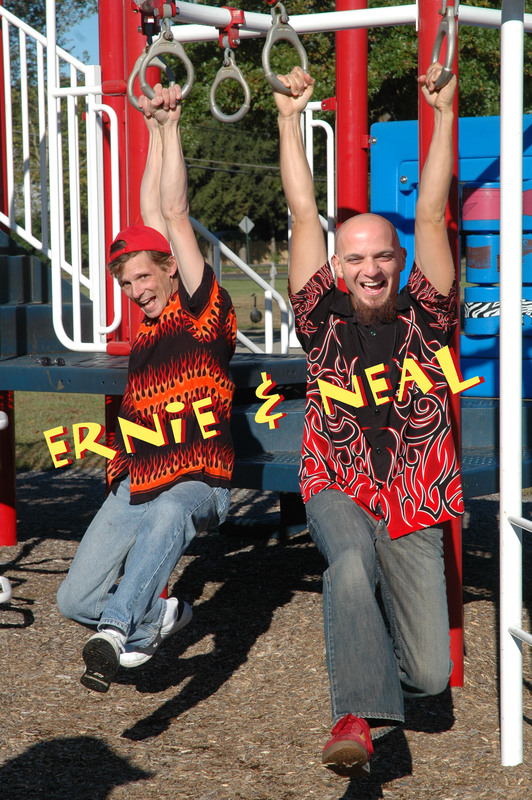 Ernie & Neal is one of the most engaging, inspiring, memory-creating recording acts from the Philadelphia region playing parent friendly kids' rock. Ernie & Neal encourage audience participation from beginning to end. With tunes ranging from rock to reggae and including ska, jazz and bluegrass, they'll have your kids dancing and singing…and you too. Children join the celebration, on stage, with more dancing, singing and acting out the various songs. Ernie & Neal perform as a four piece unit with Ernie on lead vocals, Neal on guitar and backing vocals, Tom on bass and backing vocals, and Mike on drums. They have been known to perform as a duo when the occassion calls for it. Ernie & Neal write and record their own songs and have released five CDs. Ernie & Neal have performed at The White House for The Annual White House Easter Egg Roll; on XM Satellite Radio's XM KiDS "Rompus Room;" on WXPN 88.5 FM Radio's "Kid's Corner Live" with host Kathy O'Connell, and are regulars at World Cafe Live - Philadelphia. They have released five CDs including their latest "Rock the House." 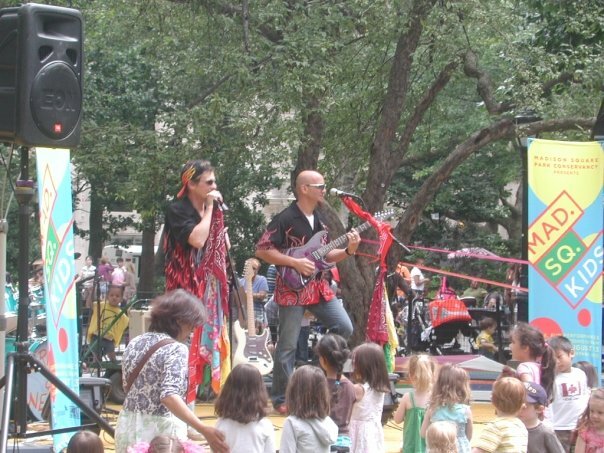 A rockin' good time for children and the child in all of us. XM Satellite Radio's XM KiDS "Rompus Room;"
Fox Network's "Good Day Philadelphia Summer Splash"
…and many stops in between. Whether performing in concert or running song-writing workshops and in-school residencies for children, Ernie & Neal touch kids' hearts and receive accolades wherever they perform. "Ernie & Neal are one of the best kid's acts we've presented at Eagleview. After 11 years, we finally had a great band that didn't talk down to the kids and kept the parents in stitches all night." "THANK YOU! for the week you spent with the kids, and of course the awesome concert on Friday. 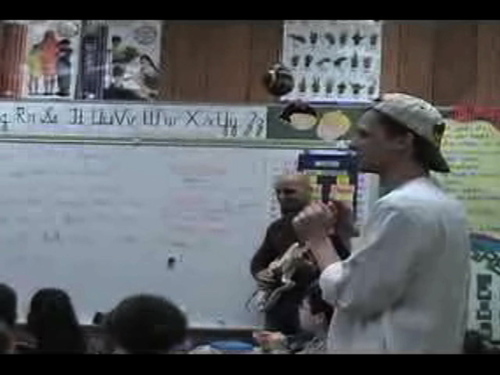 We were all so impressed with what you accomplished with the kids - what a fantastic musical experience!! So many are still talking about your visit and singing their class songs! And we have heard rave reviews from teachers and parents alike…"